It's been a few days already since my birthday yet I can't get over it! LOL. My birthday since last year has been overflowing with blessings and extended 'til the holiday seasons in December 'til January. I really can't thank God enough for all the wonderful blessings and gifts I received. I normally joke with my friends and colleagues about my birthday celebration and that it'll be held at my company's Christmas Party celebration. LOL. Our party was held at a hotel garden tent and the stories should be reserved at a different post hehehe. For now, I wanted to share with you a few items I wish to get. They'll be in my wishlist for sure so whether I get them as gifts or I got them for myself, that'd be perfect! Woot! I got to celebrate it with my colleagues as well who surprised me with a little treat at work. It was overwhelming! (^_^) Definitely a lovely treat! I'll share a few photos in future posts I guess hehehe. This year, a few items stay on my wishlist like My Dream Barbie Doll and my Tokidoki Watches' picks. This time around, what do I want to receive? Well, I continuously pray for better health and professional growth as well as to keep my family intact; including a smoother way in love and life. But I do have some items in my wishlist from some of my favorite shops. Allow me to share with you my Top 5 Picks per shop this holiday season! 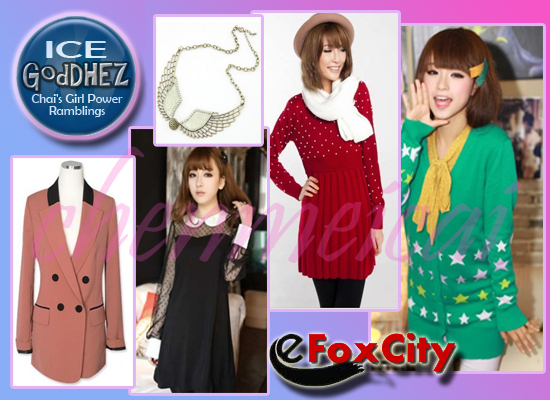 ONGOING PROMOTION/S: Spend at least $50 and get an accessory for free! Can't get enough of shops!!! Stuffs I Want from SheInside! 80% OFF CHRISTMAS SALE!!! Sitewide! 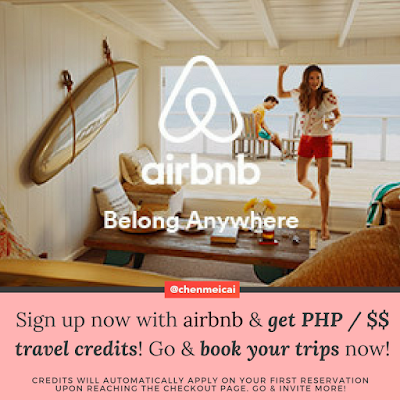 No Code, No hassle! I got to know this shop because of my dear Ania! I won her giveaway! Yay! (^_^) So I must choose which ones to get right? Hehehe! I'm so excited! Perfect birthday gift for me! 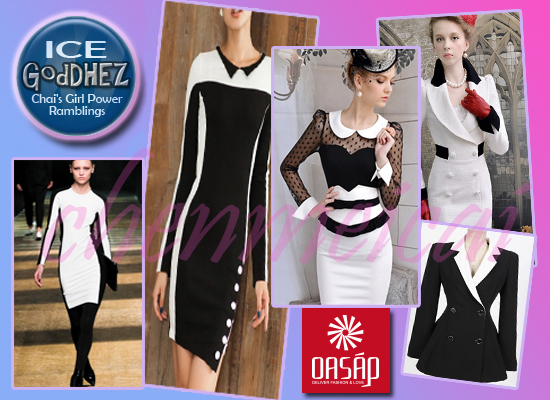 My OASAP Black & White Fixations! 15% OFF Unlimited Use until 12/31/12 Christmas Promo! 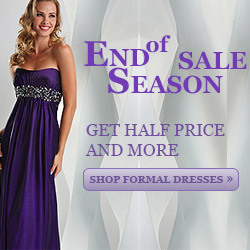 Evening Dress Promotion up to 75% OFF Christmas Sale! I need shoes too (not that I don't have any nor badly need one new but these babies are just so irresistible so I need to get them! RAWR!!! These are shoes from my favorite shops that I still want to get!!! 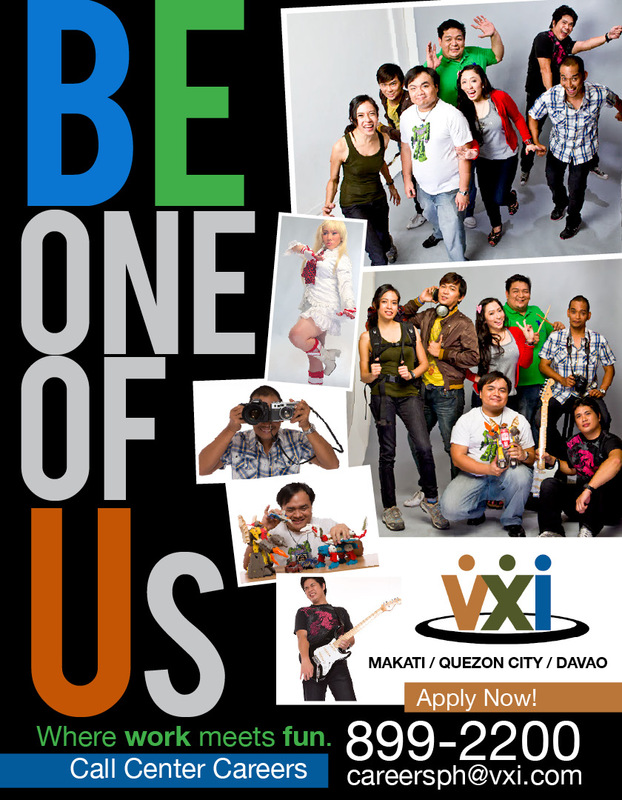 Wooot! Shoes I want to get!!! 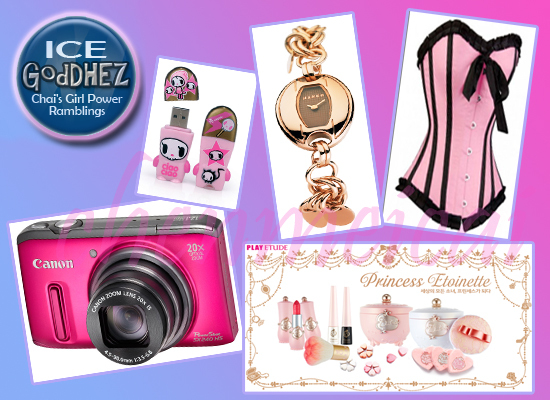 All Pink Stuff I want!!! Mango Watch with Pink Gold PVD Bracelet - because I love everything Mango and their watches are cool accessories too! Happy holidays everyone! (^_^) I wish you all a happy season and a safe year ahead! Wow those are amazing deals. :) Thanks for sharing!! I love the black dress with polkadots above and the galaxy leggings. Many good wishes for a Merry Christmas! Aw! I LOVE your wishlist! You have the best taste =) I hope you get everything you want for the holidays ^^ Merry Christmas! 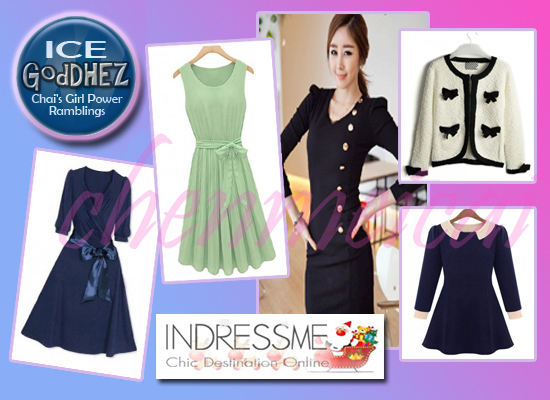 In love with your SheInside wishlist, dear! Thank you for your sweet comments on my blog, I really appreciate them :3 Mina from the blog The Style Fever: minamasotina.blogspot.it :) NEW POST ON MY BLOG! Hope you're doing well now dear! Happy holidays! Hello Hina! I guess it didn't appear earlier. :( Now it shows 314 followers and your icon appeared in the end. :) Thanks dear! Happy holidays! Hahah thank you Kim! :) Happy holidays my dear! No worries Mina! Hope you can follow me back on GFC too? *wink* But don't worry ... I love your blog so I keep on coming back! Happy holidays! So many things on your wish list haha can't get tired of shopping :). Merry Christmas hope you can buy all you want!!! Great stuff <3 Merry Christmas honey! Hello Hun!I love especially the Sheinside and indressme wish lists. I am going to try these online stores very soon! amaaazing post! merry christmas and have a happy birthday! Merry Christmas! Nice wish list, have an amazing birthday! Happy holidays doll! Great list! Amazing post, dear! Wish you wonderful holidays and Happy New Year! You know how to do a great Wishlist :)) ,love the Shoes! Thanks Zia! :) Happy holidays! Thanks Lucy! Have a great holiday! Oh thanks Christine! :) I'll check it out! Thanks dear! :) Happy holidays! You too Lilli! *hugs* THanks! Peplum and floral ang peg! Yes! Love 'em Adly! Happy holidays! Thanks Patricia dear! Happy holidays! Love the wishlist! 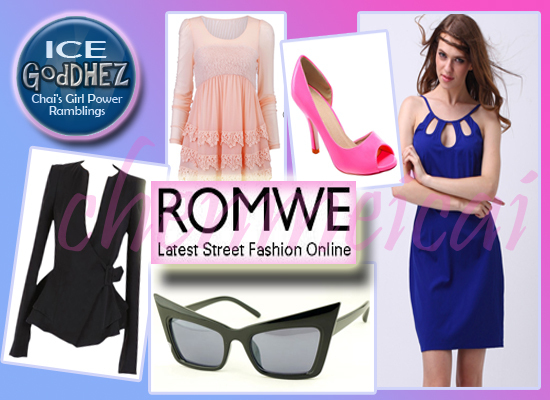 Romwe looks like a great shop, I will have to check it out! Thanks Ciara! Happy holidays! :) Enjoy the season! I really wish that all your wishes come true in the New Year my dear, I will have to sit down and think about some New Year resolutions too :-) Anyways just in case I won´t talk to you til then, Happy New Year to you and your family! Enjoy your birthday hun and may you have a blast on the New Years Eve party! Happy Birthday and happy Holidays sweetie! Love you lots my dear! Thanks for all the support too! Happy new year ahead! Thanks Elzana! Love yah dear! Hahaha anything from this wish list will do! LOL. Happy holidays my dear! Enjoy your 2013 ahead! Thanks Marsa! It was great! Happy holidays! Thanks Liz! Really appreciate it. Have a great new year ahead! Following you back on fb sweetie <3 with both accounts! Hi darling...oh my gosh, this wish list is out of this planet amazing, I love love your choice of dresses and clothes, there are so many things here I would want on my own list. Hahahah it's a huge list to give my dearies a few selections of what I want heheh :) Happy holidays dear! No list is too big! I say this because I have a personal wishlist that is super long! I especially love the stuff from sheinside! I love it! I hope you get everything you want! Have a wonderful birthday Chai! :] You rock! Merry Christmas and happy holidays as well! Happy Birthday, sweets and best wishes for the New Year. Hope you everything on this wishlist! Wow awesome selection! I love the red polka dot dress the most =) Happy New Year!! You have picked such beautiful things! Dear Chai, wish you all the best for 2013! Thanks for all your support and lovely comments. Oh! What a great wishlist! I really liked your dress' choices, the're very colorful! I wish you get all the things you want, and you have a very happy birthday and holidays! Thanks for visiting dear! :) Happy new year! Thanks Trishie! :) Happy new year! What's Happening i am new to this, I stumbled upon this I have found It absolutely helpful and it has helped me out loads. I hope to give a contribution & help different customers like its aided me. Great job.